Just a quick outfit post and as promised an illustration to go with it. I still don't have any internet in my dorm so posting is such a hassle but hopefully I'll get everything sorted out soon. But enjoy the pictures and be sure to tell me what you think :) You can aslo find this outfit on lookbook HERE. Heihopsti! Ühikas endiselt netti pole.. ja seega istun ma praegu siin Mandariinis ja söön paljast riisi.. just nimelt - tavalist valget riisi. Mis teha.. vaese tudengi elu ei peagi alati lill olema. Vähemalt on siin enamvähem kiire internet woopadii! Aga olge tublid, mu hiirekesed, ja ma loodan, et pildi meeldivad! Lookbooki saab piiluda SIIT. 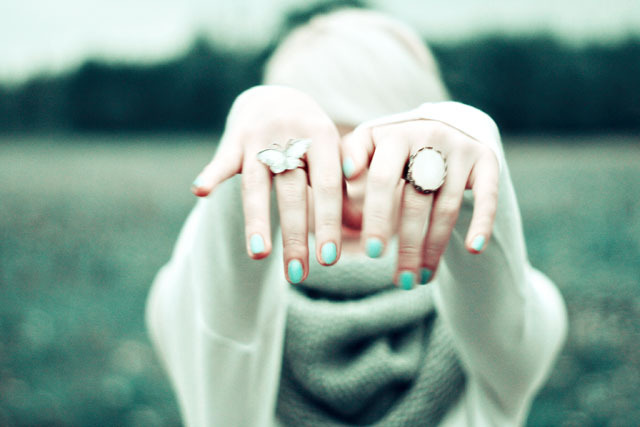 I ♥ you style ! You almost remind me of a fairy somehow. absolutely fantastic, in every way, the outfit, the illustration, the photographs! hope you get your internet going at school. best wishes! u are soooo amazing! gosh i love ur style and ur face and everything :-)! oh i like the fun in your last Photo! your Blog is one of my favorites. Can i do you on my blogroll? i like the colors of the photos, as in any post. 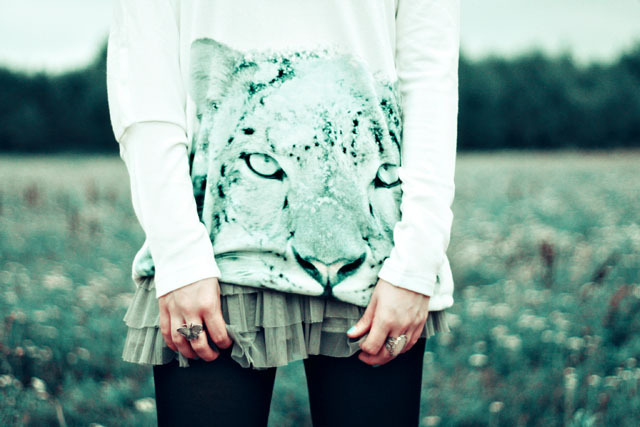 The feline motif tee is striking, and such a lovely tulle skirt! Very pretty look. ooh I'm in love with that sweater! The sweater and the skirt are to die for, I love them! i loveee the scarf around your head, and the pretty skirt! love it ! especially the first picture :)) so cute colours and everything and you're very pretty :) love your clothes, but who wouldn't ? 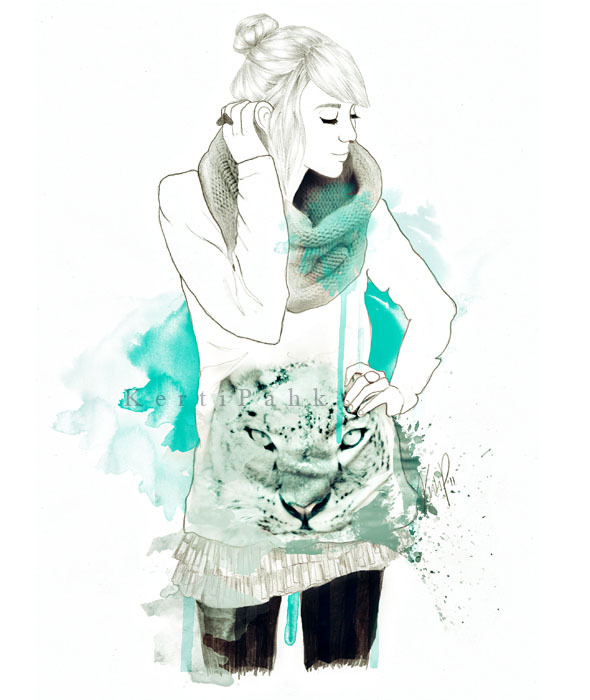 wow, great Outfit and I love the illustration! Ma kardsin, et kui Tallinnasse lähed, siis enam taustaks ilusat loodust ei tule. Aga tuli! =) i love your outfit, it's so calm! the fourth photo from the bottom is one of my favourites and naturally the last one! I love your eyes!